Dubai mall is the largest shopping mall in the world. 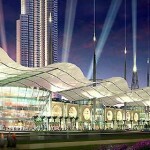 In Dubai mall you can shop, dine entertainment, and you can also stay at the hotel. At Dubai Mall you do not only find shopping stores but a lot of entertainment for family travelers. There are lots of things to do in Dubai Mall, it is highly suggested that you spend a whole day tour at Dubai Mall, not for shopping but to experience the different entertainment complex there are. Such as Dubai Fountain, Dubai fountain is set on a 30 acre Burj Khalifa Lake and the water jets are about 500 ft. to 700 ft long and circles in variety of sizes, Dubai Fountain is set to dance to the Arabic classical music and it is open from 6pm to 10 pm. There is also Kidzania, where kids can enjoy interactive playing, live in an adult world but in kids size, you find everything from buses, trains and cars as well as offices and your kid can also choose a profession, this is a taste of the adult world for kids where they can use their imagination and creativity at the same time. Dubai Aquarium and underwater zoo- at Dubai Aquarium you can enjoy the different underwater creatures. You also have the opportunity to dive and experience swimming with the different sea species. You can also watch the penguins and other water creatures. There are daily events that you can see like Shark Feeding, Ray feeding and fish feeding. There are also Underwater zoo where there are different shows in different time you can see more at their won website. Boat rides are also available where you can experience a breath taking view of the deep, glass bottom rides will make a difference in your Dubai Adventure. They also offer cage snorkeling where you are placed inside a cage to view the 33,000 aquatic animals. Sega Republic – a real entertainment for all ages where you can experience all Sega games in one house. Sega republic is a high adrenalin theme park inside the Dubai Mall, where you can play arcade games from Sega, like Sonic, Guitar Hero and many, many more. There are also lots of rides like Sonic Hopper, Spin gear and Wild Jungle. If you are hungry after the Dubai Mall adventure you can dine at Dubai Mall’s many restaurants there are cafés and bistro and fast food restaurants. You can also enjoy a cup of coffee at Starbucks, Café Havana or Joe’s Café. For fast food restaurants, KFC, Burger King, MCdonalds and many other known fast food chains are also found at Dubai Mall. For restaurants you can enjoy different cultural meals, if you want Arabian Cuisine or Chinese food, you name it they have it. 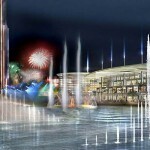 There are also lots of events in Dubai Mall Such as Fashion events, Arts and Crafts Workshop for kids and French Week.